After X-Men Origins: Wolverine was released to middling reviews and fan opinions Fox decided to up the ante for the next Wolverine movie. First, they hired James Mangold to direct. This wouldn't be another B List director running the show, this would be a major upgrade in the form of a respected director who was well known for his dramatic work. Second they hired a pair of writers who had done some fine work in recent years. Mark Bomback had written Live Free Or Die Hard, which was much, much better received than the recent A Good Day To Die Hard, and he also wrote the screenplay for Race To Witch Mountain, which was a fun family movie that really delivered the fun. Scott Frank, the other writer hired to work on The Wolverine, had written Dead Again (Kenneth Branagh's supernatural film noir), Out Of Sight (the fantastic crime movie starring George Clooney and Jennifer Lopez), and Minority Report, among others. This was a solid pair of writers handling this one. Third, they went with the classic early 80's Wolverine comic book mini-series where he travels to Japan. A new setting to bring something new to the X-Men series. But even with the best of intentions and the best of plans things can go wrong. In this case most everything went right. The cast is excellent (Hugh Jackman just OWNS the role of Logan/Wolverine, and the rest of the cast here brings a lot to the table), the direction was very good (although there is a little too much, "Shaky cam," used in the movie, but not so much as to be a big distractinon), and the script brought enough suspense and excitement (as well as character development) to make this one of the better comic book movies of the last decade. Actually, The Wolverine is probably the best Summer movie thus far. It far exceeds Man Of Steel and Iron Man 3, and edges out Star Trek Into Darkness and Pacific Rim for the combination of quality storytelling and pure entertainment. The Wolverine picks up a year or so after X-Men The Last Stand. Logan (Wolverine) is camping out in the Canadian wilderness, trying to cope with the fact that he killed the woman he loved (Jean Grey, the Phoenix) in order to save countless lives. He dreams about her constantly, only they may not just be dreams. Unable to deal with killing Jean, Logan has decided to give up being the soldier, refusing to kill anyone again. This, of course, doesn't last too long, as events force his hand, events which take him to Japan. He learns that the Japanese soldier whom he saved in Nagasaki during the dropping of the atomic bomb there is dying and wants to see him. This soldier, Yashida, has become a wealthy businessman and makes Logan an offer he can and does refuse - give up his healing power and his (near) immortality to Yashida. His refusal leads to a battle for power and wealth among the Japanese, including Yashida's granddaughter, Mariko. An attempt to kidnap her is thwarted by Logan, but he makes a startling discovery (spoiler alert) - his healing power is gone. This leads to some good drama as Logan has to deal with near death injuries for the first time. He has become so used to being able to shake off gunshots and stabbings that he really doesn't know how to deal with being hurt. In the end we find out who is responsible for the kidnapping and assassnation attempts, and we get a rousing finale. Don't worry, though, there is plenty of action in between. It's just done at a pace that actually allows for some drama and character development. The pacing is just right. 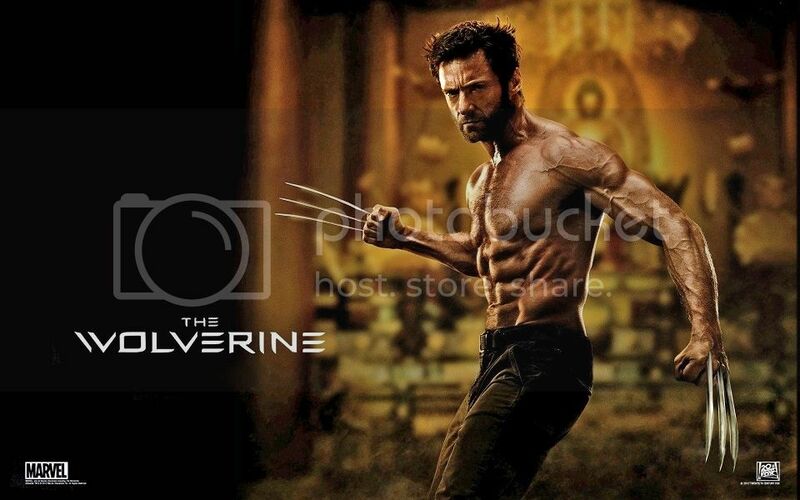 And, of course, The Wolverine is a movie for Hugh Jackman to carry, and carry it he does. He is, again, excellent as Logan/Wolverine. This was a role he was born to play, and it's hard to imagine anyone else playing it. Fans of the X-Men movies will most likely enjoy The Wolverine quite a bit, but even those who haven't seen the X-Men movies will find a lot to enjoy here as the movie is presented in such a way as to not leave the newcomer feeling lost. The crowd reaction at the showing I went to was impressive - a loud round of applause! 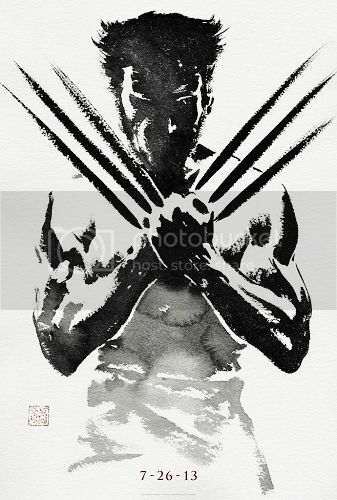 The Wolverine really is a fantastic comic book superhero movie. It is told in such a way as to elevate it above the norm. Sure, there is the standard superhero finale, but it fits in with the movie. And after the first batch of credits there is a scene that practically steals the show. That scene alone is almost worth the price of admission. 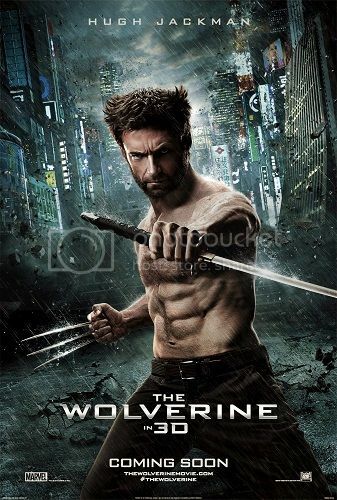 If you want to see an exciting, entertaining, fun Summer movie, The Wolverine is the one to go see this year.